Sublime sophistication of melted cream, crispy hazelnut pieces and petals made out of chocolate. With its coating of dark chocolate the Rose Of The Dolomites DARK-NOIR is a seductive discovery for those who prefer flavors full of character. 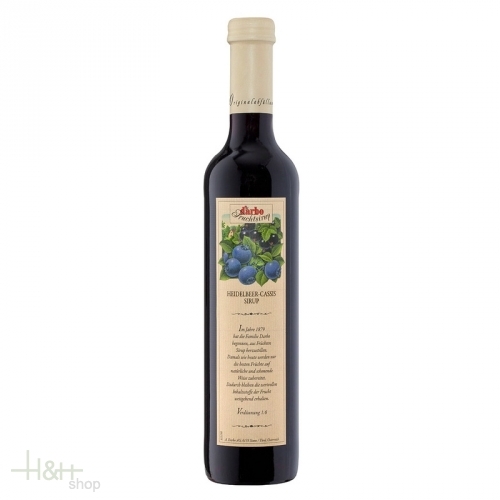 Fruitsyrup Elderberry blossom 1,5 lt. - Spitz 9,65 EUR / 6,43 €/lt. Elder flower syrup 500 ml. - Beerenhof South Tirol 6,35 EUR / 12,70 €/lt. Cranberry syrup 70 centilitres. - Horvat Wilhelm 13,45 EUR / 19,21 €/lt. Sea Buckthorn Syrup 490 ml. - Fassler Hof South Tyrol 11,25 EUR / 22,96 €/lt. Elder Flower Syrup 500 ml. - Schmiedhof South Tyrol 7,80 EUR / 15,60 €/lt. Fruitsyrup Hugo 1,5 lt. - Spitz 9,65 EUR / 6,43 €/lt. Fruitsyrup Raspberry & Lemon 1,5 lt. - Spitz 9,65 EUR / 6,43 €/lt. Fruitsyrup Raspberry 1,5 lt. - Spitz 9,65 EUR / 6,43 €/lt. Beetroot Syrup 480 ml. - Beerenhof South Tyrol 8,45 EUR / 17,60 €/lt. Wild quince & Carrot Syrup 490 ml. - Fassler Hof South Tyrol 8,45 EUR / 17,24 €/lt.